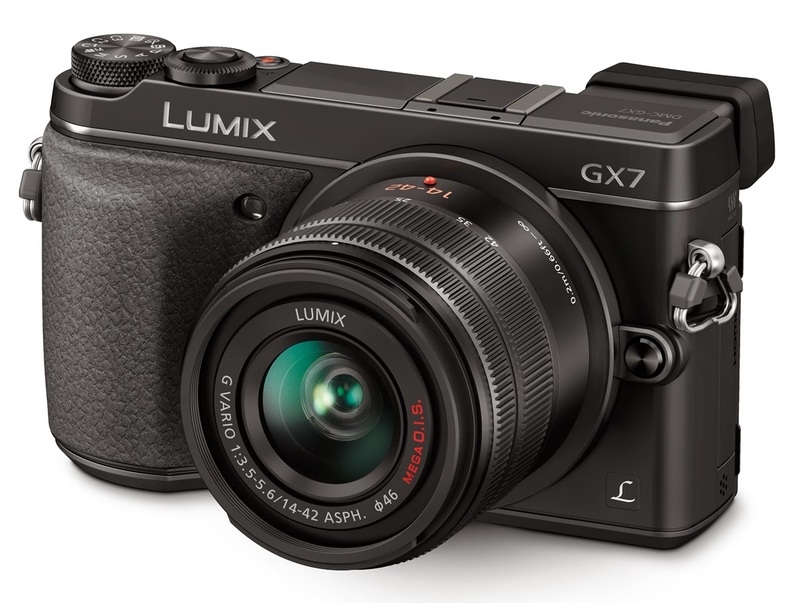 The Panasonic LUMIX GX7 brings many new features to the micro 4/3 system as an upgrade to the GX1. One of those being the stop motion mode, enabling the user to easily create stop motion films in-camera, saving a lot of time editing. Eager to try this out for myself, here is my short film and experience using the camera to create it. I have previously attempted stop motion using a Canon PowerShot G12 on a mini tripod and remote shutter release, and took lots of time uploading and putting together every single frame in video editing software. 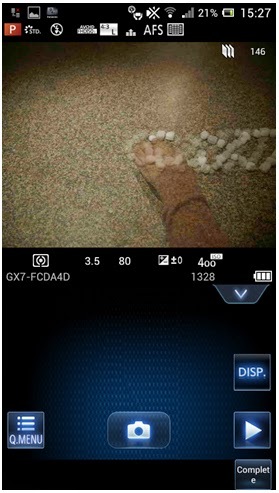 The GX7 stop motion mode will show you how many frames you have taken and put it all together for you in less than 1 minute. Starting the stop motion mode, you can trigger the shutter yourself or choose to take pictures at automated intervals of your choosing – however I didn't use this as I thought it would take longer and initially I didn't know how long I would need. The options will then be “new” or “additional”, meaning you can start a new project or continue where you left a previous one, so no need to panic when dinner is ready and you need to stop shooting! When you have finished it will ask “create video now?”, where you can then choose the video quality, frame rate (1 fps to 50 fps), and normal or reverse mode – another very helpful feature which can easily be done in editing but much easier to do it in-camera. The LCD screen will show the frame you are about to take, with a ghost of the last image taken over the top, making composing your shots a lot easier as you can see the degree of movement you have used and where to place things next. This is also very helpful if you should accidentally knock the camera or subject, and you can match up the picture with the ghost to make sure it’s in the right place. Stop motion movies can be very fun to make but also time consuming, and potentially frustrating, so here are a few tips and things I've learnt from doing it this way. Making a stop motion film can be tedious. Make it simpler by knowing exactly which shots you want in which order. Draw out a storyboard and add a time frame for each shot so that you will know how long your film will be and how many frames you need to take. The GX7 is Wi-Fi enabled, so remote operation from my smartphone was extremely helpful and essential for certain parts of my film (e.g, shooting from within the cupboard). It allows for a lot more freedom whilst shooting, and makes shooting each frame a lot quicker. To get a smoother look with a stop motion, try and keep the lighting conditions the same, and preferably do all shooting in one go so as not to change anything from one frame to the next. Make sure your shadow or reflection is not seen (unless you want it to be!). Keep camera settings the same for each shot. It is often best to use on manual for this reason. Lighting is one of the main things that can be seen to change in each shot, but stop motion does have this quality to it so it doesn't have to be perfect. Make sure before you start shooting that you have a full and/or spare battery! You’ll be taking potentially hundreds or even thousands of photos in one session - there’s nothing worse than having to do a section all over again because your camera battery died. The same goes with having a big enough memory card and sufficient space on it. Enjoy the experience. Learn from it. Try new techniques. Stop motion is all about doing things that you can’t normally do on film so use your imagination and think of something wacky, funny, experimental, thought-provoking or clever and let your camera do the rest. The Panasonic LUMIX GX7 is available in stock at both our stores in Central London and Burgess Hill (West Sussex), so if you’re local, please pop in and try out this lens for yourself! Alternatively visit www.ParkCameras.com where you can get further details online. You can also learn more about the GX7 by watching our video at youtube.com/parkcameras. Also, if you purchase the GX7 at Park Cameras between 5th February and 16th March 2015 and you’ll also be eligible to claim £50 cashback and a FREE Panasonic DMW-CGK24XEK case. To claim and for full terms and conditions, simply visit promotions.panasonicmarketing.co.uk. If you've got a question about this camera, why not post a comment in the box below and we’ll do our best to answer them for you.